When I was 28 years old I began my journey towards early retirement. My annual income was $24,000, and I dreamed of an existence unlike my own, craving a way out of my little pit. 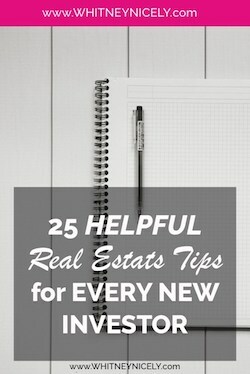 I got bit by the real estate investing bug and quickly went broke trying to get rich. It did not take long for me to use every penny I had ever saved trying to buy houses with my own money. And, then I turned around and used my brother’s money, too. I’m not sure at that point I truly believed early retirement was even possible anymore. It was a hard, tough fail. And it was the best thing that ever could have happened to me. That experience was one of the greatest lessons of my life. It paved the way for the early retirement success that followed. 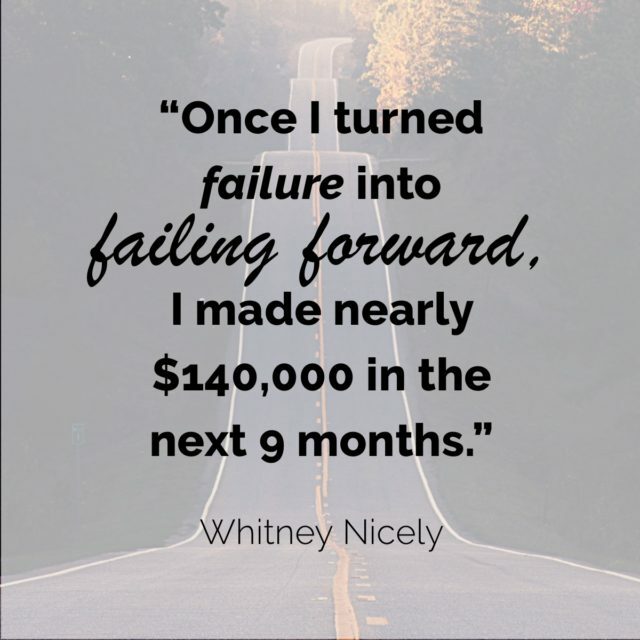 Once I let go of the “failure” and turned it into a lesson of failing forward, I made nearly $140,000 in the next 9 months. When I was in the deepest hole I could find myself, I decided to join my local REIA (real estate investing association). It was there that I met the president of the group, Victor Jernigan. He insisted that I attend a special presentation that they were going to have on lease options. But, I was broke! I did not have the $75 fee to get there, but I figured it out and attended. And, man, my mind was blown! All of a sudden I learned that there was this whole new world of investing that I had never even known about. Up until that point I had only seen my mom’s method of “save own cash, use own cash to buy property, use own cash to fix it up, and bring in a renter to be repaid in a decade or more.” It was not my cup of tea. But, now this whole new side of investing was put in my view, and my mind went wild! I made a decision right then and there that I was going to learn everything there was to know about creative financing. And, only one year later Victor was inviting me to come and teach the class on creative financing. After I got that first taste of creative financing at that meeting I booked myself a flight to Jacksonville, FL so I could find out everything I could possible need to know. I went to bootcamps, seminars, and signed up for mentoring. Honestly, I pushed my credit cards to the max to get everything done. Within weeks, I put $15,000 onto my credit cards to pay for a mentor and my education. But, 8 weeks after I started, I made my first deal. Guess what I made? $15,000! That is nearly what I made in a year with my day job; the job where I worked from sunup to sundown. And, I did not stop there. My mind was on fire. Here I was slaving away at my dead end family business job, and I made in two months nearly a year’s worth of money! That first paycheck convinced me that this actually was possible, and I hit the ground running. I closed 14 deals in those first 9 months. Within one year I had not only paid myself back, but I had made nearly 10x my investment. And, I was sold. The second year, I went to work even harder. 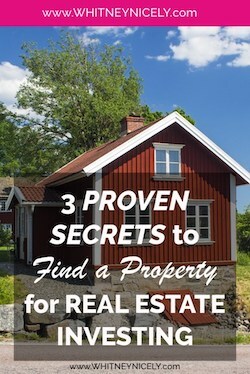 Now that I was convinced real estate investment worked, I grew even further in my knowledge and experience. I added 19 apartments to my portfolio. That second year I bought and sold properties, bought land to rent, did from house flips, and so much more. And by the end of the year I realized that I was making a steady $5,000-$10,000 every single month. So, I officially retired from my dead end 9-9. I don’t know if I ever truly thought early retirement was possible before. My mom and dad were still working long, hard hours with their family business. Everyone I knew was constantly plucking away at life trying to fit the financial pieces together in the hopes of having something left for normal retirement. Early retirement seems like a pipe dream. TWO YEARS after I first heard about creative financing I retired. Remember, I was doing this in my spare time. I used my nights and weekends, little minutes at the ballpark, and whenever I had a few to spare. The rest of my day I still sat at the family business making pennies. But, I never gave up. And, it paid off in a big way. Within 2 years of starting this journey, I retired from my job. My portfolio and goals continue to grow and change. I had 19 houses, and am down to 15. At the end of 2018, I fully intend on cashing out a few other houses and using the profits to pay off some others. By the end of the year, I will have 10 houses free and clear! That’s just 4 years since I started investing! The money is there, ladies. Deals are out there. 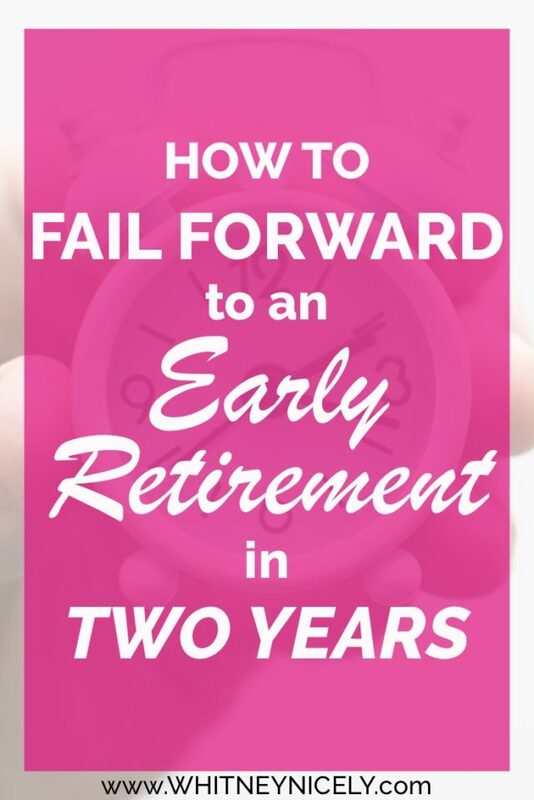 Are You Ready to Fail Forward to Early Retirement? It is possible, ladies. In a matter of two years I changed my life in ways I could not have ever imagined. Early retirement has been only one part of the joy and delight that I experience every day. Now I get to help others achieve exactly what I was able to achieve, or better. This is why we launched First Deal Done Fast (FDDF). 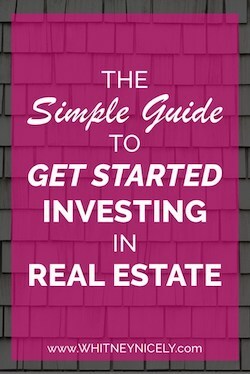 It’s our flagship program to help other women become educated about real estate investing with creative financing so they too can have an early retirement. We have loads of other programs to keep learning more and keep growing, but FDDF is our premier program to get started. If you’re hungry to know more and ready to step into your path to an early retirement in two years, click here to set up a time to chat more. Truly, what is stopping you from changing your life for the better? What idea is in your head and halting you from making a course correction that might ultimately allow for you to retire from your dead end, soul-sucking job? Whatever it is, is it worth your life? Is it worth the stress, emotional weight, drain, financial strain, etc? If not, you have a choice. You can take a step right now to turn a new corner. One small step can be one giant leap for your existence. What choice are you going to make? What is the biggest hurdle you face to early retirement? And, what can you do about it? Comment below.